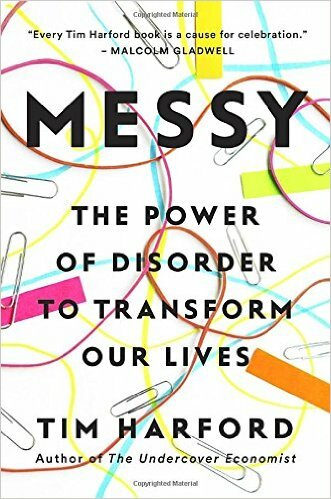 Messy: The Power of Disorder to Transform Our Lives celebrates the benefits that messiness has in our lives: why it’s important, why we resist it, and why we should embrace it instead. Rigidity disempowers people. In telling us to be messy, Harford urges us to recapture our autonomy. A less catchy, but perhaps more accurate, title for the book would be Control: The Power of Autonomy and Flexibility ... Harford’s argument goes beyond aesthetics, resurfacing over and over in his engrossing narrative, from music (Brian Eno’s oblique strategies defying all convention, which resulted in David Bowie’s album Heroes) to tweeting (the non-prescriptivist response of the British telecom company O2 to a power outage) ... Still, the most powerful part of the book isn’t in the examples of corporate or creative success, but in the realization that mess — the autonomy that comes from discarding inflexible rules and neat labels — is important even when we don’t actually want it. The mess with the greatest transformative edge may be the one that forces you out of your routine despite your certainty that what you’re doing works just fine already, thank you very much. Everybody on my holiday gift list is getting this book ... Harford has written a delightfully original and engaging look at how being messy is a good thing...he finds concrete, real-world examples that are totally absorbing and fresh ... The big theme of this book is, in fact, not messiness but diversity. Harford argues that if we try to be too neat, ordered, organized, we can end up with unhealthy, un-resilient, one-dimensional forests, cities, workplaces, playgrounds, as well as plane crashes, and too much trust in online dating algorithms. And we suffer more boring, less interesting lives. Messy is a fun and informative read. All my friends and family will thank me this December. 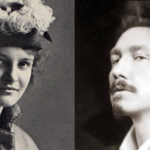 Messy masterfully weaves together anecdote and academic work. But Mr Harford’s call may ring hollow for some. He is rewarded for his messy creativity with money. The person packing his book in an Amazon warehouse is not. What did you think of Messy: The Power of Disorder to Transform Our Lives?